No trip to beautiful Niagara Falls is complete without experiencing the most creative and interactive attractions on Clifton Hill. Are you brave enough to face Doctor Frankenstein's creations that lurk in the shadows? Think you have what it takes to escape the mirror labyrinth of the Crystal Caves? Come join us at Clifton Hill Entertainment where our unparalleled attractions have something for everyone, from families to the most daring thrill seekers. 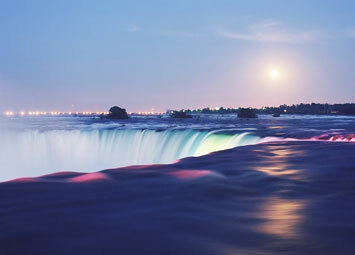 With new updates and renovations yearly, we provide the most fun and value Niagara Falls has to offer!